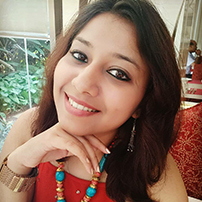 Apart from being a management professional, an experienced marketer and an ambitious entrepreneur, Shraddha Varma is a passionate learner and a creative thinker with strong communication and leadership skills. As a Cofounder, she not only leads the global marketing and operations in Fuzia but also drives and mentors her team in cross-culture environments. Shraddha strongly believes in Gender equality and that women are the largest reservoir of untapped talent. Through Fuzia, she wishes to positively impact and see a world where women can come together globally and help eachother grow, live their passions, pursue their dreams and build their own identity- thereby driving Gender equality, Feminism & Empowerment. Fuzia (www.fuzia.com) is a one of its kind online social media platform for women and girls to encourage and empower them through the power of creative expressions. It utilises the power of internet and gives them a stage to showcase their voice in an environment filled with creativity, inspiration, collaboration, compassion and empathy. In a span of 2 years, Fuzia has garnered support of thousands of creative women and influenced more than 3.5million followers globally. Shraddha believes that being a woman is a superpower in itself and encourages women to become their own inspiration. She is a thrill seeker, an avid traveller and an admirer of impactful quotes, with a vision to translate ideas into tangible results and creative initiatives.